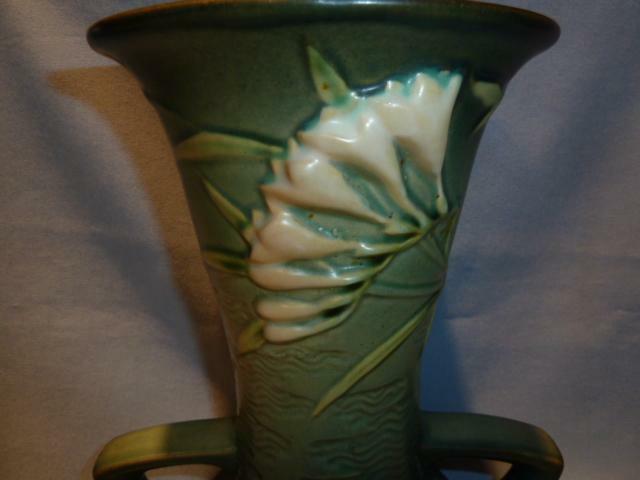 Roseville "Freesia" Green # 124-9 Low Handled Vase. 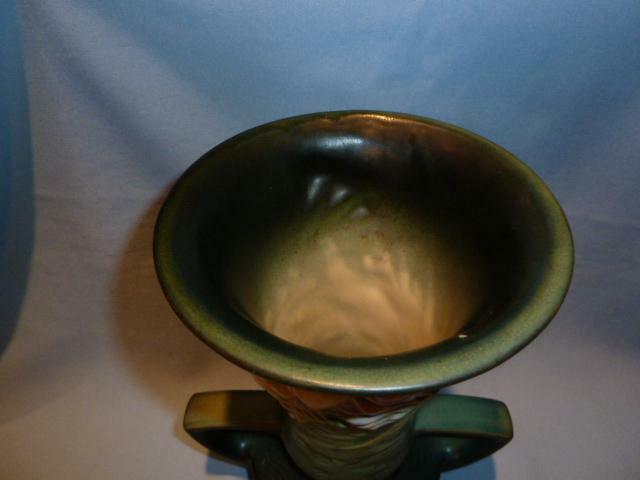 Measures 9 3/4 inches tall and 7 1/2 inches from handle to handle. Done in Dark to light shades of green with a spray of white Freesia on each side. 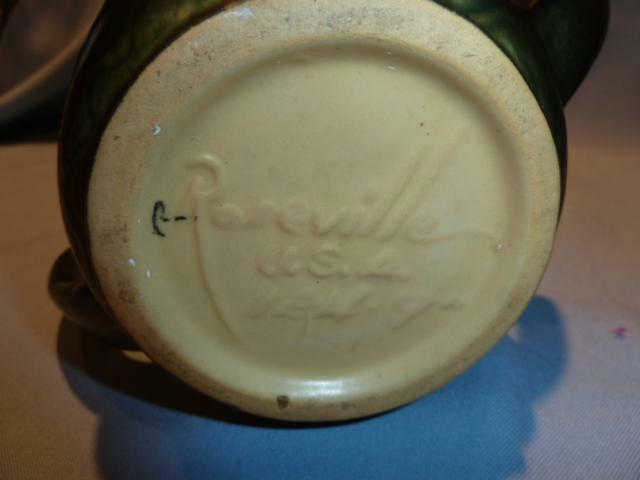 Clearly marked Roseville Number 124-9 USA on the bottom. 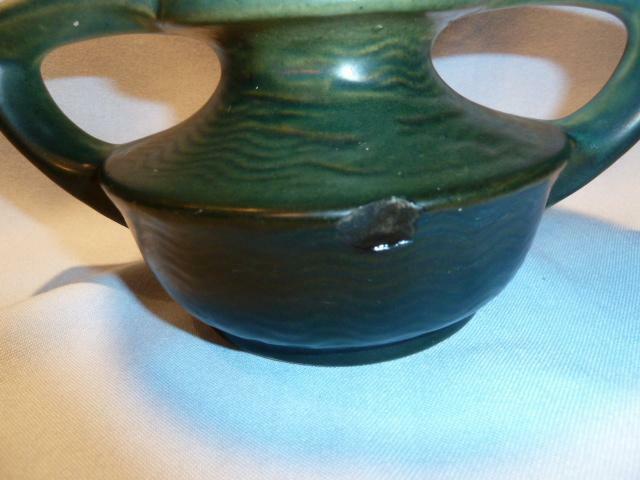 As shown in the photos, there is a rim chip on the lower section of the vase that has been repaired. 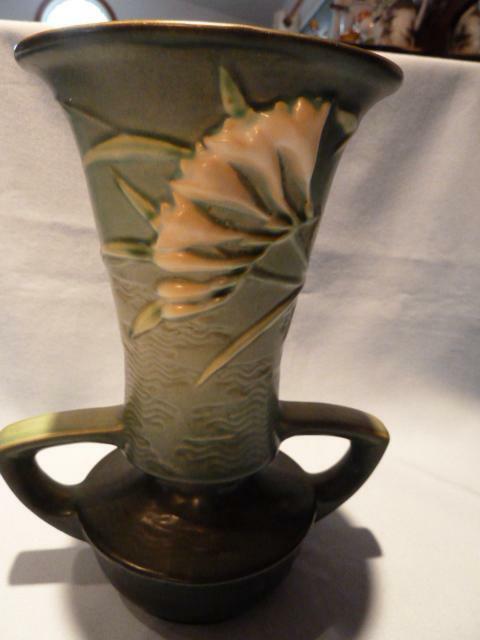 This does not detract from the show of the vase. 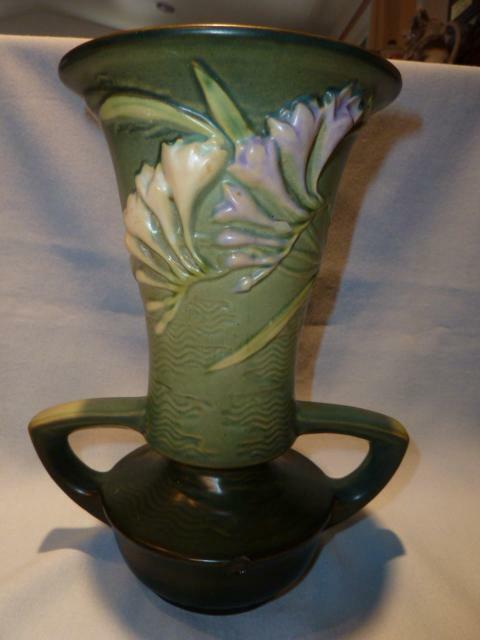 Otherwise, the vase is in very good condition and makes an impressive display. This is NOT a reproduction piece. 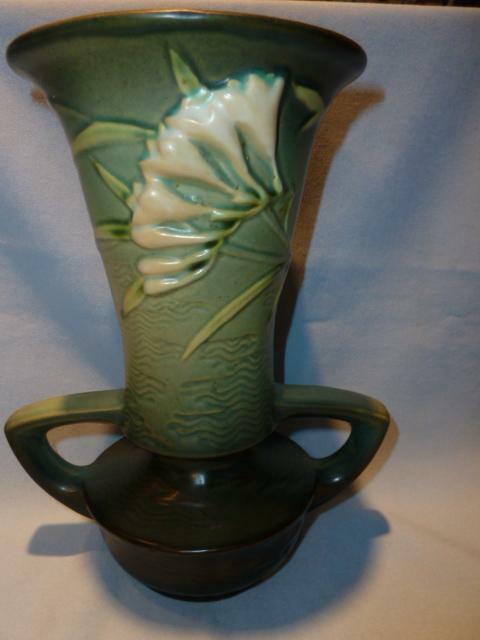 Items Similar To "ROSEVILLE FREESIA 124-9 GREEN HANDLED VASE"